Deloitte & Touche projected total advertising revenues in Lebanon to reach $145.1m in 2012, and to account for 3% of aggregate ad revenues in the Arab world. It forecast advertising spending in Lebanon to increase by 1% this year and to grow by a compound annual growth rate (CAGR) of 5% during the 2011-15 period, compared to growth of 5.9% for ad revenues in Arab economies in the covered period. It estimated that ad spending in Lebanon would total $174.6m and would account for 2.9% of total advertising revenues the Arab world in 2015. The survey said TV advertising revenues are expected to reach $54.8m in Lebanon in 2012, or 37.8% of the total, followed by outof-home advertising with $40m (27.6%), newspaper ads with $24.8m (17.1%), digital ads with $10.2m (7%), magazine ads with $10.1m (7%) and radio with $5.3m (3.7%). The survey forecast television advertising expenditures in Lebanon to post a CAGR of 5% during the 2011-15 period and to reach $66.3m in 2015, compared to growth of 6% for TV ad spending in the Arab world during the same period. It also expected out-of-home ad spending to contract at a CAGR of 1% between 2011 and 2015 and to total $40.1m by 2015, compared to growth of 6% in the Arab world. In addition, it forecast ad spending in newspapers to remain flat during 2011-15 and to total $26.2m in 2015. It estimated advertising revenues from digital ads to post a CAGR of 37% during 2011-15 and to reach $22.7m by 2015, compared to growth of 35% in the Arab world. Further, it projected the ad market for magazines to grow by a CAGR of 5% over the 2011-15 period and to reach $12.2m in 2015. Finally, it expected radio advertising in Lebanon to jump by a CAGR of 9% in the four-year period and to total $7m in 2015, higher than the projected growth rate of 7% in the Arab world. The survey indicated that the share of digital ad spending in Lebanon is relatively small at about 4% of the total in 2011, but it noted some positive drivers for the growth of digital advertising in the country. It estimated that digital advertising will grow to 13% of the total advertising spent by 2015 despite the currently low broadband penetration, and will be driven by increased mobile broadband uptake, robust internet usage and a thriving media sector in the country. 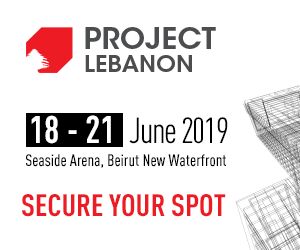 Also, it attributed the large size of outdoor advertising in Lebanon to a vast inventory with less strict urban regulations compared to other markets in the region. In parallel, the survey shows that aggregate advertising revenues in Lebanon reached $143.7m in 2011, constituting a drop of 11% from $161.4m in 2010. It said that TV advertising revenues stood at $54.2m and fell by 18.1% annually, followed by out-of-home ad spending with $41.8m (-2.6%), newspapers ads with $26.3m (-18.3%), and magazine ads with $10m (-10.7%); while digital ads increased by 64.1% to $6.4m and radio ads remained flat at $5m. It said that last year's drop in TV advertising budgets has severely impacted some of the smaller TV channels and many survived thanks to alternative funding, as a number of channels are supported by political parties.